Do you have a lot of this scheduled for this weekend? I sure hope so. We all know you deserve it. I won't be seeing a gorgeous lake like this one this weekend, but I will be enjoying our annual block party, which is always a lot of fun, and a lot of fun. I was combing my food-related pinboards on pinterest, looking for inspiration for the dish I'll contribute to our neighborhood potluck on Sunday, and I just couldn't decide. I thought every one of these gorgeous, inventive recipes deserved to be made this weekend, so I'm sharing them with you in the hopes that that will happen. 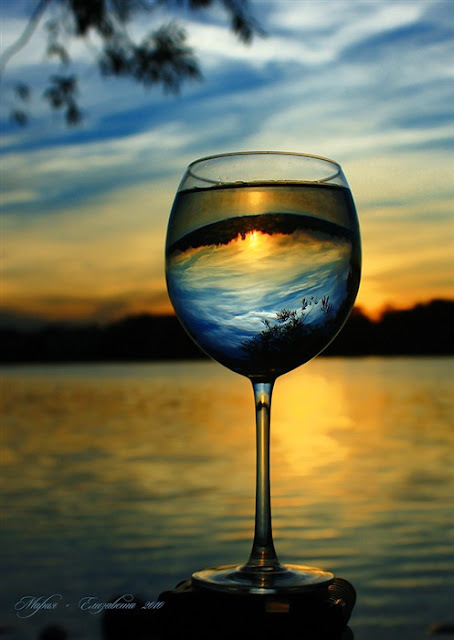 If you're looking for more inspiration you should visit my pinboards for even more eye candy. More importantly - if you're not addicted to pinterest now, you will be. 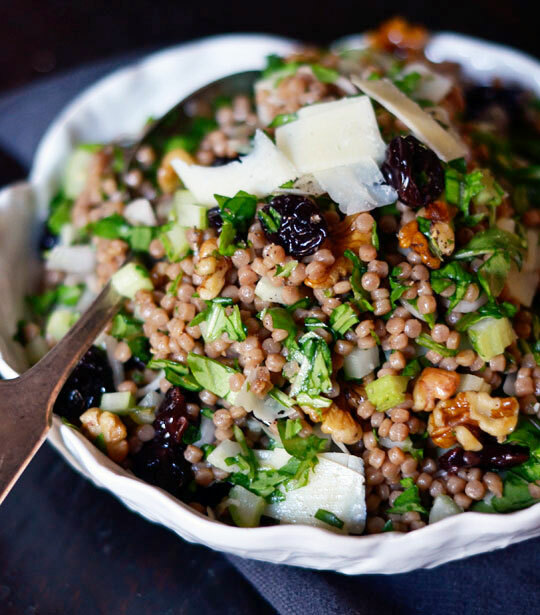 Whole Wheat Couscous with Cherries & Arugula from thekitchn. Gorgeous, healthful, fresh. 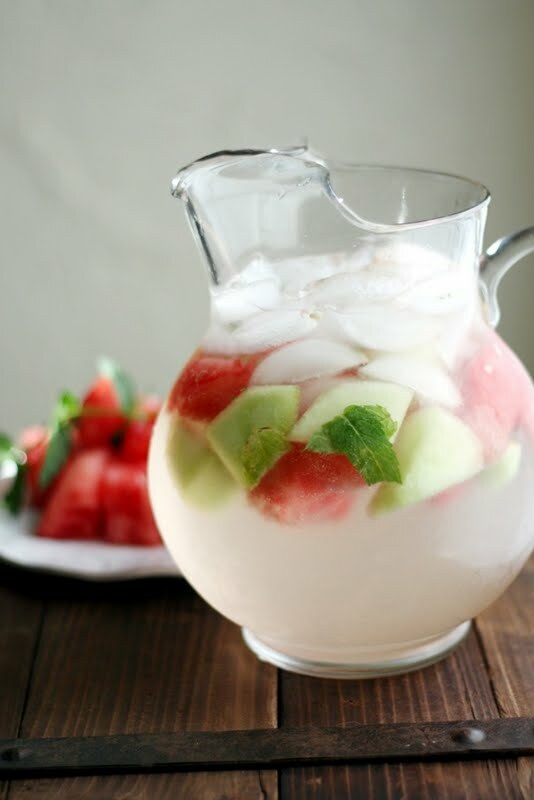 Melon Mint Sangria from Caleigh's Kitchen. Oh my. Melon. Mint. Sangria. Doesn't the name just feel refreshing? 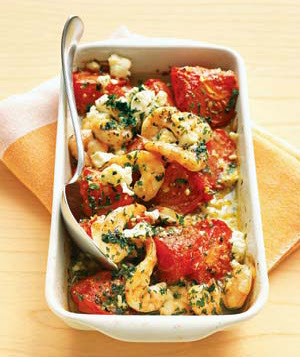 Roasted Tomatoes with Shrimp and Feta from Real Simple. To use up the bounty of tomatoes, before it's too late. 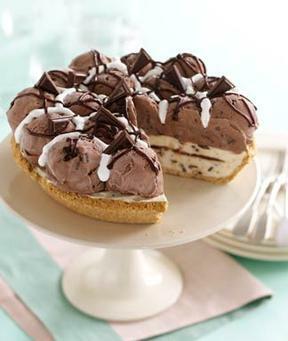 S'mores Ice Cream Pie from Woman's Day. This would be such a hit with kids and adults alike. It doesn't look like we'll be experiencing any fall-like weather this weekend, so ice cream pie would be a welcomed addition to any table. 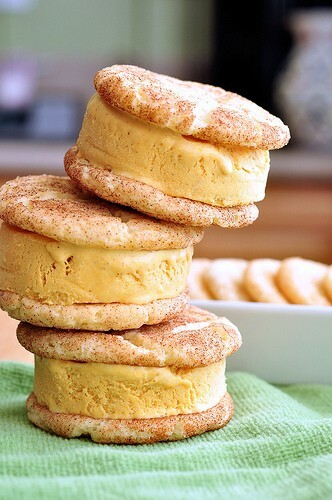 Snickerdoodle Pumpkin Ice Cream Sandwiches from Pennies on a Platter. All I have to say is, HAVE YOU EVER SEEN A MORE PERFECT TRANSITION FROM FALL TO SUMMER DISH?!?!?!?! I mean, perfection. 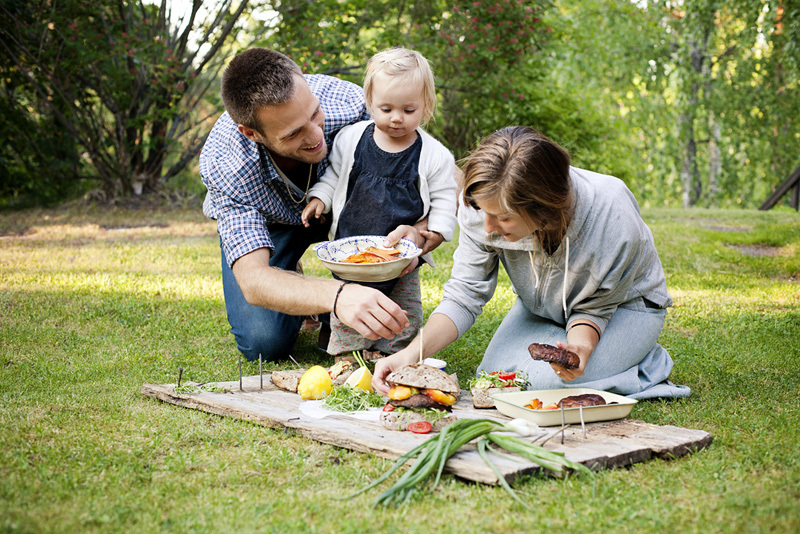 The flavors of fall that everyone's palates are craving, combined with the coolness required by summer heat. Seriously, I am in awe at this simple, oh-so-perfect idea. 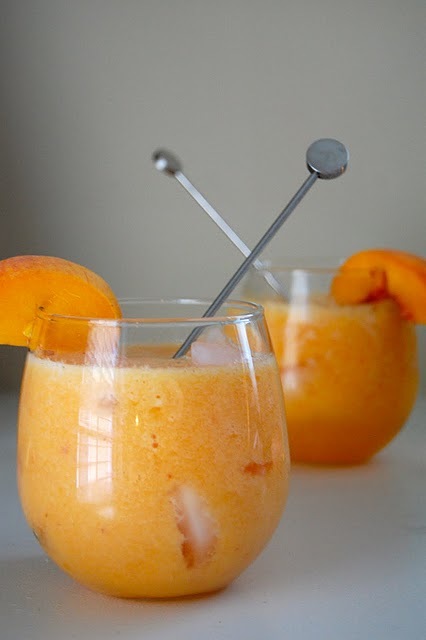 Peach Lemonade Coolers from Cook au Vin. We made this beverage during girls' trip to the lake this summer, and it was gooOOOoood. 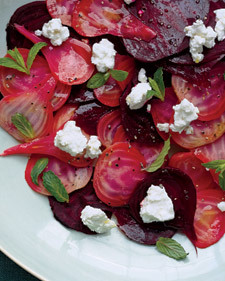 Marinated Beet Salad from Whole Living. This recipe is in my Power Foods cookbook, and I've been dying to try it. Beets are one of my favorite vegetables, and when I was a toddler, I would inhale them at meals and my mother would then spend hours cleaning up after me. Lemon Orzo Salad with Asparagus and Tomatoes by A Big Mouthful. Light and fresh, and one last nod to summer. 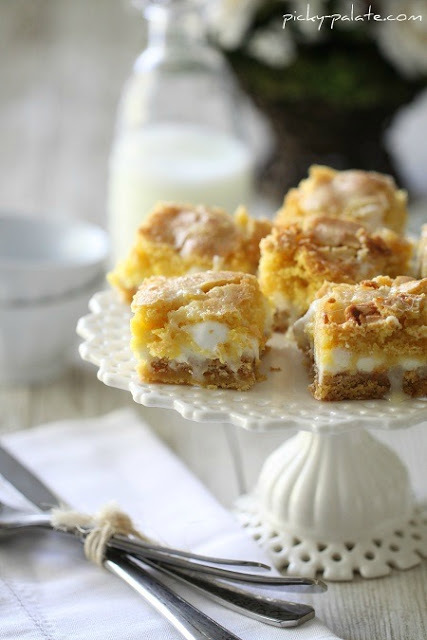 White Chocolate S'mores Gooey Cake Bars by Picky Palate. The instant Jenny posted this recipe, I was in love. Someone please, please, please make these this weekend (and come back and tell me all about it). They are sooo easy! And you just know they'll be the talk of any party. Peach-Slathered Chicken Wings by moi! One of my favorite recipes from this summer, it combines bbq and fresh peaches. It's peach season, people! Get your fill now or regret it all winter. Lemon Berry Cupcakes by Pâtisserie Natalie. 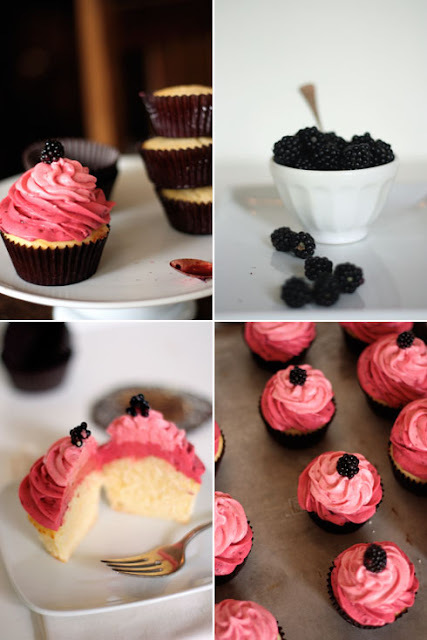 I've had my eye on these cupcakes for a while now. Even more impressive than these cupcakes is Natalie. Her recipe, her baking, her photography. And she's in high school. Yes, seriously. Amazing. 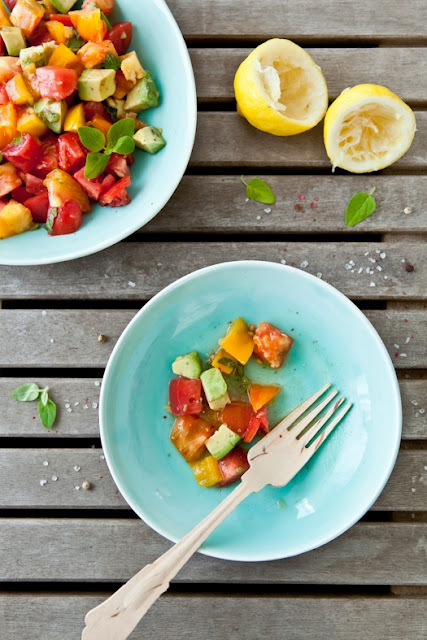 Heirloom tomatoes and avocado salad. Lemon juice, salt, pepper and oregano. And that's it, according to Helene from Tartelette, a very accomplished food stylist and photographer. BLT-Stuffed Tomatoes from Buns In My Oven. 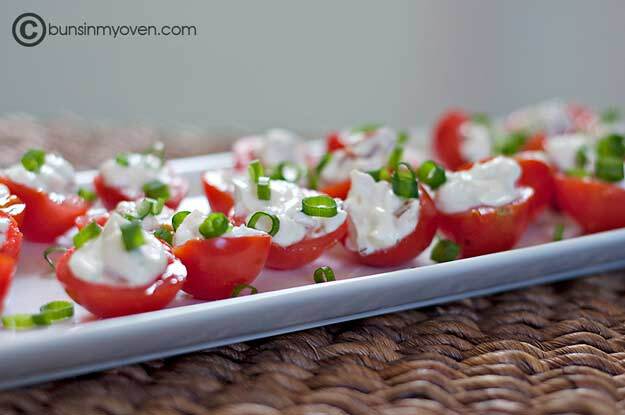 I've always thought these little bites would make a perfect summertime appetizer. I can't imagine how fast they'll fly off the platter, but it's got to be freaky. Cantaloupe & Capicola Bites from ...in sock monkey slippers. 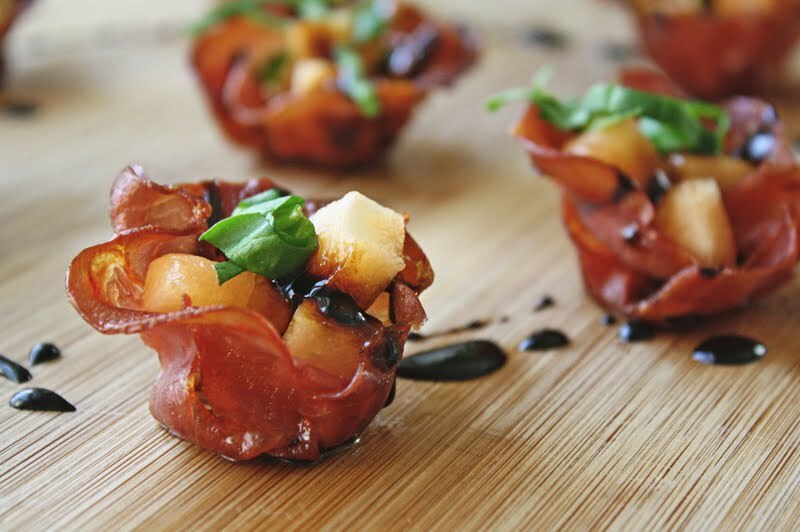 I came across this recipe the other day, and I think it is such a fabulous interpretation of your typical prosciutto-wrapped melon (which I love). 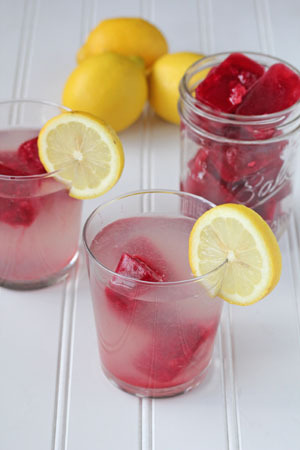 Lemonade with Raspberry Ice Cubes by $5 Dinners. All I can say is YUM. A great way to serve salads at an outdoor BBQ - keeps the bugs at bay and the greens from wilting as quickly. Place in a tub of ice to keep it extra fresh. From 4 men and a lady. 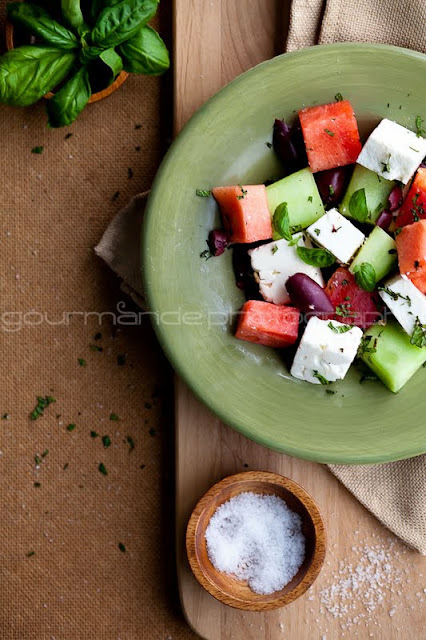 Watermelon, Heirloom Tomato, and Feta Salad by Gourmande in the Kitchen. So fresh! 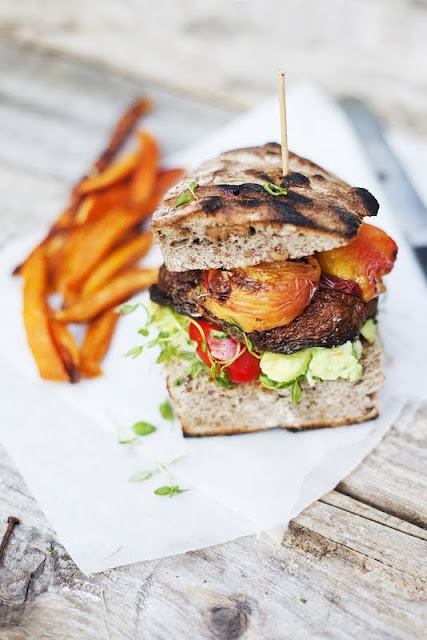 Portobello and Peach Burger by Green Kitchen Stories. Oh, my goodness. Any words coming from me would not do this justice. Well, my friends, that's the highlights. Check out my pinboards for more inspiration. Most importantly, though, make these yummies, snap a quick pic, and share them with me via facebook or twitter! 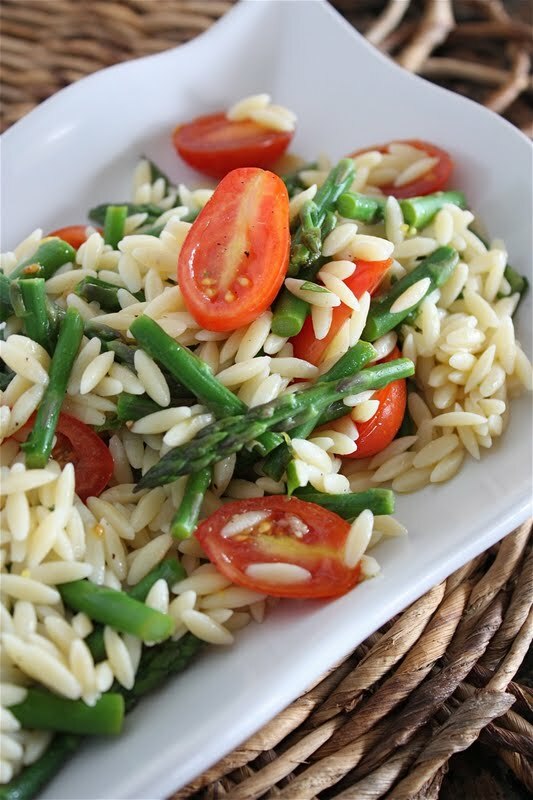 That orzo looks delicious. Great roundup...I'm so addicted to pinterest, it's terrible! I just made beer bread, white chocolate chip blondies and olive dip for our trip to the lake, can't wait to get out of town! Great roundup! I hope you had a nice holiday! -Bonus 10K deposit for the first time 50rb deposit. this is the amazing post so thanks for this.